Does the Attitudes Towards Daily Activities at Romanian Aba’ Therapists are Related with Their Well-Being Level? Taking care of people with disabilities it is a noble and demanded profession. It comes with serious responsibilities and with personal and in time, with professional satisfactions. 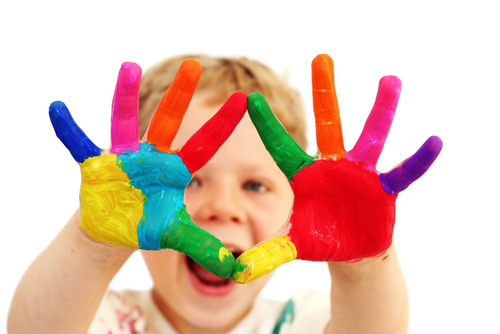 The experts that are working currently with persons with special needs, in particular with children with special have to have specific competencies, but also have to have a “sparkle of creativity” in order to create the personalized therapeutic interventional program with achievable goals and related to all the types the resources that are accessible. Furthermore the number of the children with autism spectrum, in the last decade, is increased and it became very clearly the experts’ necessities for constant professional development. In the last five years, there are a lot of studies (that have been done at specialists involved in the recovery process of autistic children), focusing in revealing, the main behavioural anchors that are “damaged” as the results of the specific daily current activities. This paper tries to reveal the implications of the daily stress activities upon the quality of life at Romanian therapists in order to develop new strategies in managing stressful professional situations. The continuum demands and the necessities of high quality services provided to the persons with special needs and to their families, in Europe and in particular in Romania, affects all the specialists involved in the process1. The consequences most of the time involve educational determinations, copying mechanism and the existing of different job ‘specializations. This study approaches the penetration into the basics of derived process related with the wish of analyse the implications that the state of well-being have upon the attitude towards daily activities of ABA’ therapists. The analyses are focused on revealing the differences that beyond the current information are significant in the current assessment of ABA’ (Applied BehaviouralAnalysis) therapists activities and in human resources field. Becoming professional experts is a hard road that a person has to go through, especially if you work with children with autistic spectrum. It is more than operating with a set of knowledge, skills and abilities that are acquired in an organized framework which is materialized by well-defined actions . It involves a dynamic and functional structure that is made up of cognitive components (data, information, knowledge) operational components (problem-solving techniques, working algorithms) and attitudinal components (behaviours, personality qualities, character traits) . The professional daily activities of an ABA (Applied Behavioural Analysis)’ therapists are focus on the ABA process of complex interventions. But, what Applied Behavioural Analysis stands for? Therapeutic interventions based on Applied Behavioural Analysis (ABA) is the science of understanding and improving behavior, and implies using of behavioral techniques and behavioral principles in order to achieve a significant and positive change at individual behavioural. The main objective of ABA is to teach new skills at each person, promote the generalization of them and reduce unwanted behavior through systematic reinforcement strategies. ABA’ interventional programs are divided in terms of behavioural data management into 3 categories depending on the objective and scope of intervention, style and working materials and specificity of each situation (the age of the child, when the diagnose was established, etc.) [3,4]. Antecedents and consequences are used. Those are manipulated and observed so as to indicate their separate effect on behavioural. This type of analysis does not occur in a natural environment but in a controlled environment and requires rigorous attention, the subject is monitored individually. The results of this process are used by the object to provide causal factors and related data. Organized interviews, questionnaires, tables, and scales are used to get information about the topic in question and does not use direct observation of behavioural. The downside is that people who provide the specialist's information may even alter them unintentionally or omit some details, but it is necessary to monitor the situation outside of the research range. ABC - antecedent-behavioural-consequence (antecedentbehaviour- consequence). Continuous recording method - the specialist notes various behavioural manifestations and selects, inserts operational stimuli into the daily routine of the subject. Private ABC - only the particularities, data surrounding the target behaviour are recorded. Scatterplot - the method by which it is recorded, highlights factors that preferentially determine the target behaviour against other behaviours. Romania, as a member of U.E, had to take a set of measures for developing training programs of these types of skills, abilities and currently there are 3 major universities where these experts receive basic formation in ABA interventional programs. In Romania, today, there are around 1000 experts specialized in ABA’ interventional programs; most of these are working in urban environment (75%). Educating children with autism spectrum is one of the hardest task that a specialist with special education or psychology background formation has to fulfill. The common practice in this area imposes to these types of specialists to work closely with all the members of the case management team (pediatric doctors, neurologists, psychiatric doctor, counsellor, etc.) in order to create the personalized interventional program (P.I.P) as part of personalized services plan (P.S.P). “The personalized services plan establishes the overall objectives, the priorities that will respond to global and individual needs of the persons and covers a long period of time with a wide field of application. The personalized interventional program states the modalities of intervention, which reaches intended goals and concerns the person’s development, the learning process that is carried out over a short period of time”  and it is basically based at children with autism spectrum on ABA programs. These kinds of actions require entirely the attention of ABA’ therapists. Recent studies in the field of special education, in Romania, have pointed that the professional experience gained in the field is reflected in specific professional strategies. In time, these strategies can become rigid and block the professional development of psychopedagogy experts2. Hence the situation has raised the following question: the personal satisfaction of ABA’ therapists regarding the quality of their provided services is related to their well-being level and specific attitude towards the ABA interventional program, if we take in consideration that the period of practicing is related with gained experience in the field? To answer this question, we performed psychological research aiming at revealing at ABA’ therapists the influence of their wellbeing upon specific attitude towards their activity in relation with each ABA’ therapist period of practicing. Our research had an initial testing procedure on 25 ABA’ therapists and the obtained Cronbach Alpha index (α=.698) allowed us to proceed to an extended psychological research that had two stages: a) investigation of ABA’ therapists well-being status b) investigation of ABA’ therapists attitude developed towards the ABA interventional programs therapists professional l satisfaction regarding the medical services that are under care. The research was done upon on 69 ABA’ therapists:, aged 28-49 years (with mean of 33.2 years and median=33 years); 72% female and 18% male, 41% with practicum in ABA interventional program from 3 years and 59% with practicum in ABA interventional program from 10 years Distribution is uniform, skewness index values from .729 to 1.138, and with a standard error of skewness from 0.687 to 917, and kurtosis index values of from .745 to 884, and with a standard error of kurtosis of from 0.804 to 929. The participation of ABA’ therapists to this investigation were voluntary. We used in our research the following instruments: a) “The Ryff’s Well Being Scale”, adapted in 2015 by R. Urea for Romanian Psycho-pedagogues (internal consistency index=0.706, fidelity index=0.733); b) “The Thomas-Killman’s Questionnaire” adapted in 2010 by Urea for Romanian psycho-pedagogues (internal consistency index: 784, fidelity index: 0.682); c) statistical processing methods. “The Ryff’s Well Being Scale” is a specific instrument aimed to investigate the following variables: personal autonomy, selfcontrol, personal development, positive relationships, the meaning of life, self-acceptance. It also computes the current level of well-being. In our research we used for all the variables a Likert scale of 5 levels of assessment: 1 – the lowest level to 5 the highest level and we took in consideration in our data analyses process, for each investigated the period of practicing in the field. We notice that the well-being level at Romanian ABA’ therapists is related with the continuum practice in the field but it is also the indicator of an increase rate of criticism associated with personal brand as mark of professional brand. “The Thomas-Killman’s Questionnaire” is a psychological instrument focuses on revealing the following types of attitudes towards daily work activities (in this case towards the ABA’ interventional recovery activities: competition, collaboration, compromise, avoidance and accommodation. These types of attitudes were assessed on a Likert scale of 5 levels of assessment: 1 – the lowest level to 5 the highest level and we took in consideration in our data analyses process, for each investigated the period of practicing in the field. We see at investigated Romanian ABA’ therapists, the dominant attitude towards the ABA’ interventional program evolves in a direct link with the period of ABA practicing interventional program: from competition to accommodation. This research has the goal to reveal at ABA’ therapists the influence of their well-being upon specific attitude towards their activity in relation with each ABA’ therapist period of practicing. Based on the statistical analyses, we found that the Cronbach Alpha index has the value 824. This value is a sign of the high reliability of the psychological instrument that was used in our research. We found the well-being level at Romanian ABA’ therapists is related with the continuum practice in the field but it is also the indicator of an increase rate of criticism associated with personal brand as mark of professional brand. It is reflected, initially, in competition as attitude towards ABA interventional program and as the practicum is increased, in accommodation as attitude towards the ABA interventional program. In fact, we can notice how the personal brand turns in professional brand at Romanian ABA’ therapists; in that manner we can notice the stress point of professional becoming of Romanian ABA’ therapists. Jinga I, Istrate E (2001) Manual de pedagogie, BucureÃÂti: Editura ALL EducaÃÂional. Â£ie la nivel comportamental, IaÃÂi: Editura Polirom. Kazdin EA (2002) Applied Behavioural Analysis. Ed. Elsevier Science: Yale University. Faulkner A (1992) Effective Interaction with patients. N.Y: Churchill Livingstone. Urea IR (2015) Dimensions of social communication at pupils with mental deficiency. Saarbrucken: Lap Lambert Academic Publishing.